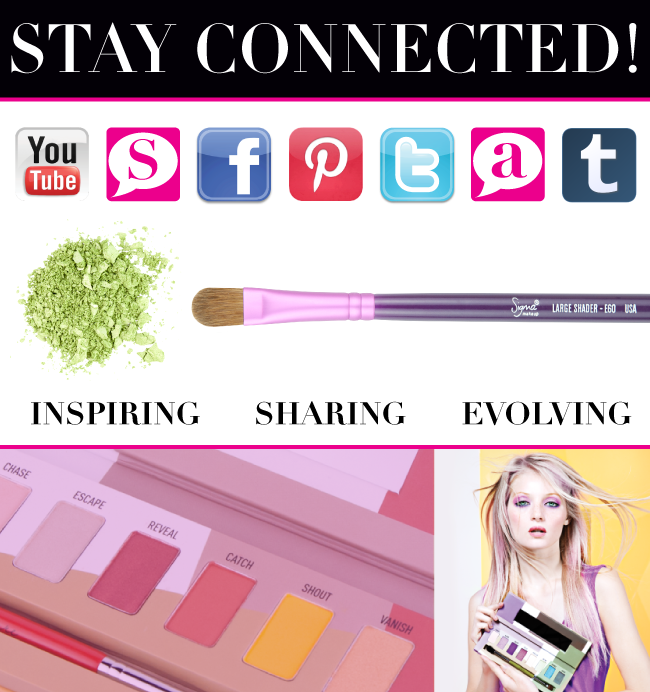 Sigma Beauty Blog: Get Social with Sigma! If you didn’t already know, Sigma is on all of your favorite social media sites! From quick tweets updating you about the latest in beauty to blog posts highlighting all things glam, we’ve got you covered. So what are you waiting for? Get social with your favorite beauty brand! Sigma Beauty Blog: You are here! This blog is your go-to source for all things beauty! Our posts feature the hottest beauty trends, exclusive Sigma product launch information, tutorials, Q&A’s with top beauty gurus and makeup artists, celebrity looks, plus more! Facebook: With more than 110K fans, the Sigma Facebook page is our most popular social media site that beauty enthusiasts can’t get enough of! ‘Like’ us to stay informed on the latest Sigma beauty happenings so you don’t miss a thing! Twitter: Follow to get frequent updates with tweets on beauty tips, giveaways, and the latest videos from your favorite YouTube gurus! Tumblr: Coming soon! Our Tumblr page is still under construction but will be up and running soon! If you are a visual person, you will definitely want to bookmark this one to your faves! Oh, and how could we forget our website? Updated this spring, you can now easily shop for all of your must-have beauty products! What's your favorite way to connect with Sigma?